As you may have gathered from previous blogs / twitter posts, we headed down to LA for the Electronic Entertainment Expo last week. First off a big thanks to Indiecade for inviting us down and providing us with booth space and being ever so awesome all three days. Apart from a few escapes to see the parts of E3 you've no doubt been reading about all over the 'net, we spent the majority of the time hanging with our fellow indie devs, meeting fans (we have fans! Ok, one) and making anyone who got within 15 feet of our table sit down and play the game. 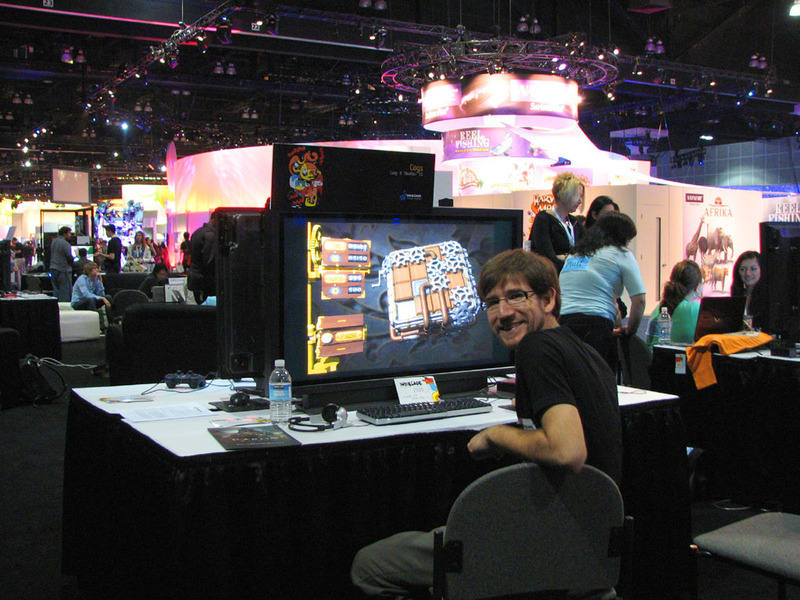 Left: Killing some downtime with End Credits at the Indiecade booth. 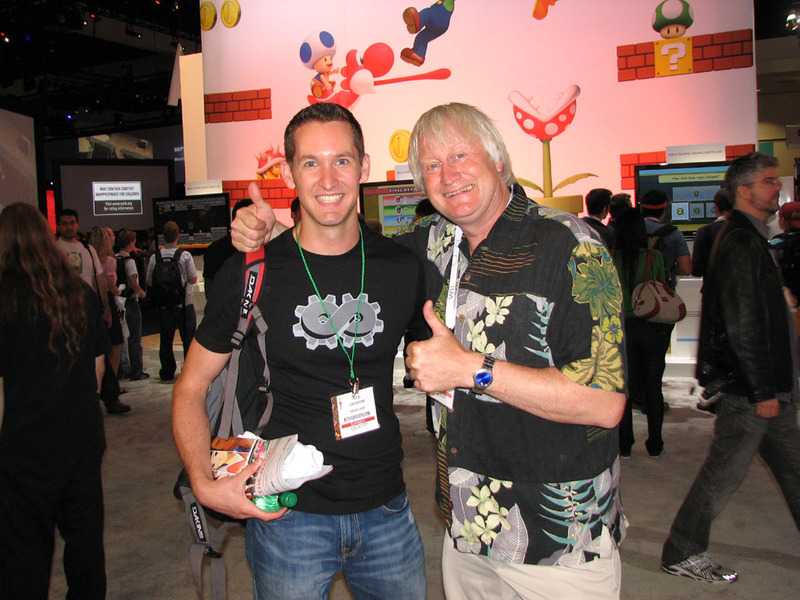 Right: Rob with Charles Martinet, long time voice of Mario, Luigi, and a host of other Nintendo characters. 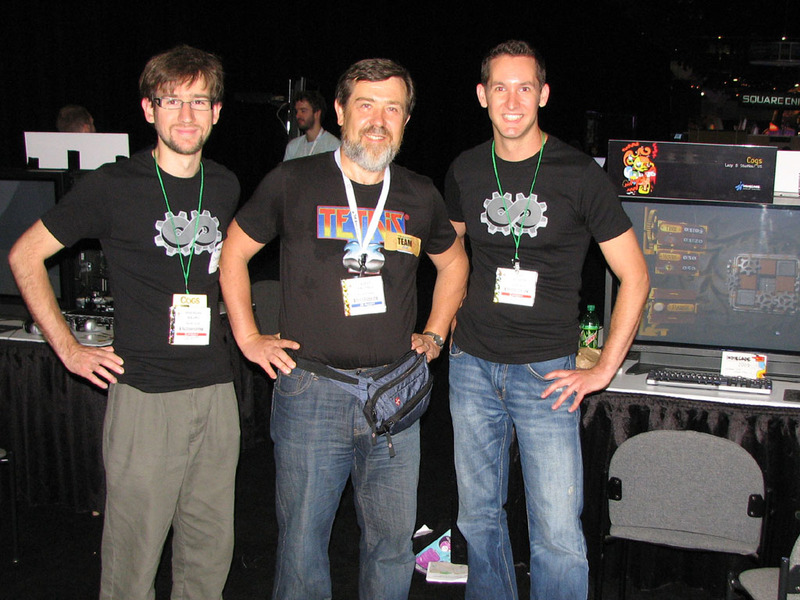 - Pete Jones and Kyle Pulver's Snapshot, which I saw at GDC but didn't have a chance to play. Their table was right across from ours. - Mark Essen (Messhof)'s faux cowboy poetry in Cowboyana. - Messing around in Unity with Steve Swink of Flashbang fame. - All the other Indiecade exhibitors, staff, and volunteers. Did I mention they're awesome? - Walking in Wednesday morning to find Alexey Pajitnov playing Cogs. If you don't recognize the name Alexey Pajitnov, I can almost guarantee you you've played his game.